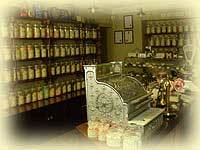 Cotswold Sweet Company began selling sweets in a tiny shop nestled in the historic Cotswold town of Stow-on-the-wold. It was not long before we were making our own fudge and confectionery, experimenting with new flavours and textures, developing the perfect recipe. Business grew and we were selling chocolates and all manner of confections. News came after many years, that our long established chocolate supplier was nearing retirement, this would lead to serious problems. We knew that finding a master chocolatier to the same standard would be nearly impossible. Our suppliers were a small family business just like ourselves and had been making handmade chocolates for nearly 100 years. handmade chocolates, so we sent our chocolatier apprentice to shadow the master and develop the 100 years of chocolate knowledge. We ventured on to begin our own range of handmade chocolates, combining a century of chocolate making expertise with a new flair from our own chocolatier. 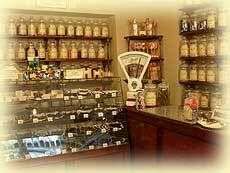 We are still a small family business making our chocolates by hand without preservatives, artificial flavours or colours and you can still buy our fudge and sweets plus all manner of confectionery from that same little shop in Stow on the Wold.